Seagoing cowboys survey the damage to their ship, the William S. Halsted, November 1946. Photo courtesy of Ray Zook. 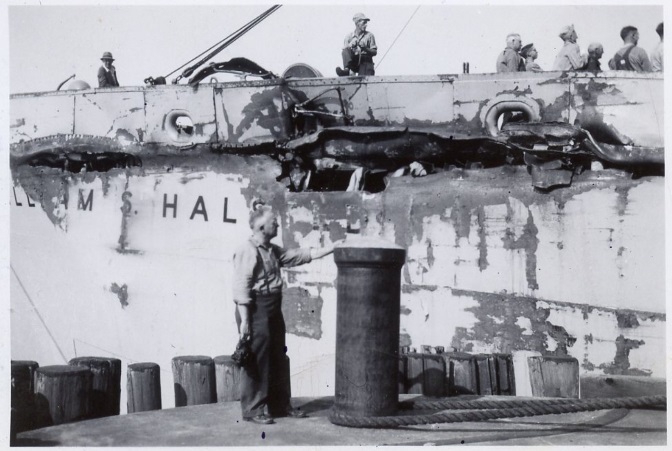 Seagoing cowboys survey the damage to their ship, the William S. Halsted, November 1946.